These are amazing wish I had known about these years ago. These go on easily, they had mentioned using lotion but they go on my size 9 feet just fine without lotion, the same with my husband's size 10 1/2 and my daughters size 14 womens. They really helped with pain or discomfort I was having and my husband really liked them because it helped spread his toes which he is unable to do without physically spreading his toes with his hands. Also great for putting on nail polish while your feet are relaxing. 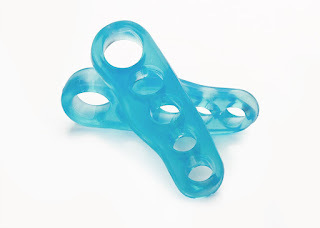 You can purchase LifeEssentials Pain Relief Toe Stretchers on Amazon. What Lifessentials has to say about their product. 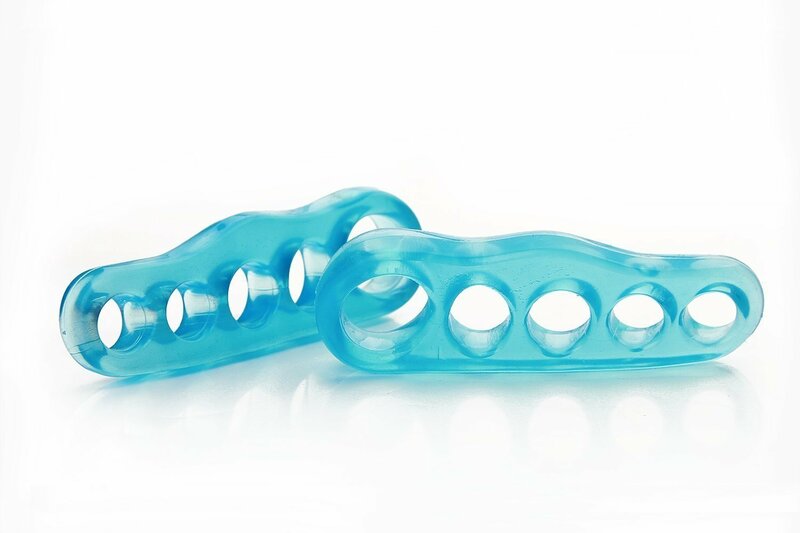 If you're suffering from Bunion, Plantar Fasciitis, Hallux Valgus, Hammertoe, Arch problems, and Achilles tendon, our pain relief toe stretchers are your best choice to stretch and relax your feet. Created to revolutionize how we care for our feet, you simply slip them on and they will do all the work! A vacation for your feet. It's an easy and effective way to condition and strengthen this often overlooked part of the body. Our toe stretchers work between, above and beneath the toes to gently spread them apart and away from the balls of your feet - providing the same exercise you get when walking barefoot. Being in shoes or high heels all day can really take a toll on your feet. But luckily, LifEssentials toe stretchers work to reverse these effects by making muscles more flexible and resilient. We recommend starting slowly, only wearing them for 10-15 minutes a day. Once it begins to feel comfortable, gradually work up to wearing them at least 1 hour per day. Made of high quality medical-grade, BPA-free gel. 100% satisfaction guaranteed for your confident purchase. Disclosure: MarksvilleandMe received one or more of the products mentioned above as part of a promotion with Tomoson and LifEssentials. Regardless, MarksvilleandMe only recommends products or services we use personally and believe will be good for our readers. Some of the links in the article may be “affiliate links.” This means if you click on the link and purchase the item, I will receive compensation. If you would like MarksvilleandMe to review a product or service please contact us at marksvilleandme@gmail.com.